Charity music event to raise money for the victims of the Grenfell Tower Fire as well as the Fire Brigade Charity. The event has been organized both to raise money but also to show our strong community support for the people who were affected by this appalling tragedy. It is a free event and we will be collecting money in buckets in and around the square. 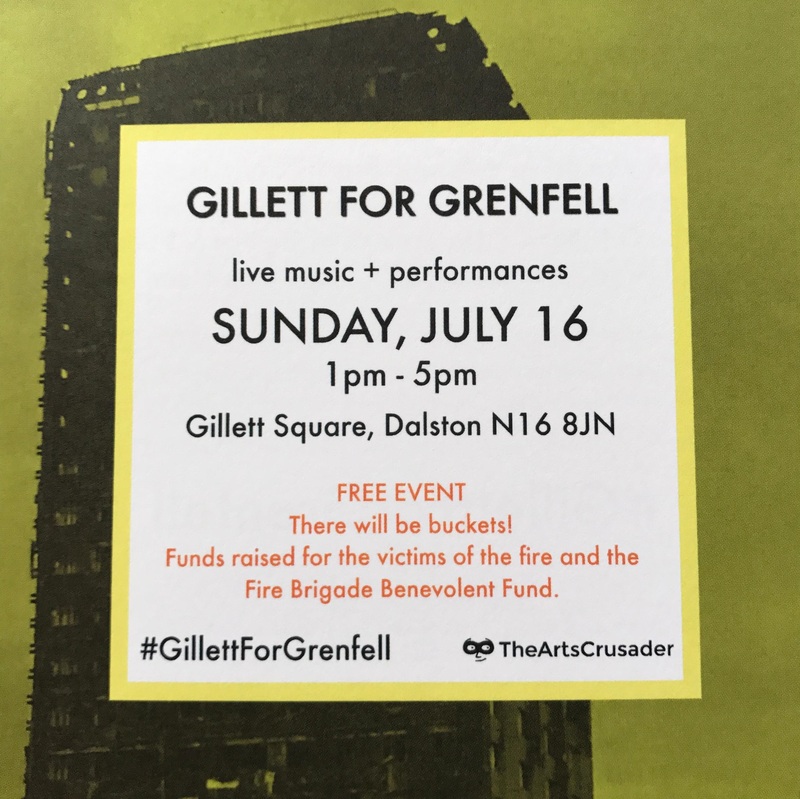 There will be a number of local performers on the stage and some speakers from the Grenfell Tower survivors group. We are also hoping to have a fire engine present, if they are not too busy on that day.